Home » Bizarre » Top 10 Bizarre Food Products around the World! Top 10 Bizarre Food Products around the World! Food is a cultural matter. The appropriation of a certain type of food is not stable or innate; accepting a certain type of food bottle in your head after you get affected by the atmosphere, environment, people, and culture with which you are surrounded. What you find incomprehensible in the US, is almost mundane in the Far East, and what is cringeworthy in the Middle East is an everyday product in Europe. The following food products are labeled as bizarre, according to their ingredients, flavors, and names. 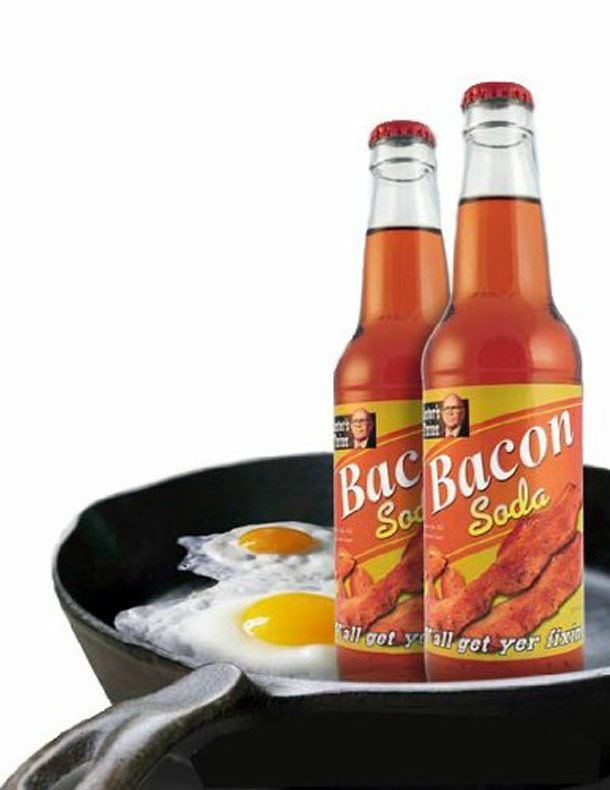 Here are 10 of the most bizarre food products around the world, that other cultures find cringeworthy, but may opt to try. 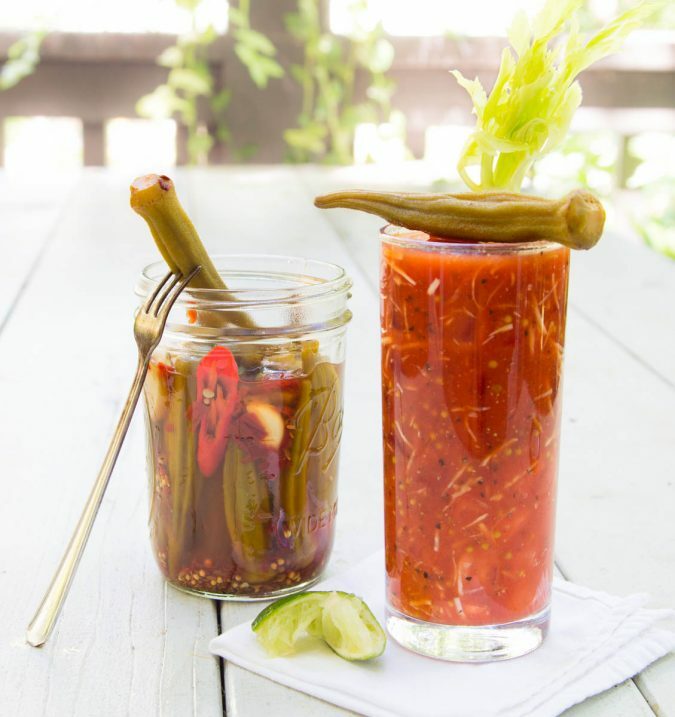 Pickles may serve as a great side dish or a mouth-watering appetizer and we are aware that pickles enjoy the favor of many people who opt for a salty zing to be added to their meals. Food lovers are rather familiar with cucumbers as pickles. Not to mention that some cultures opt to add the salty zing to carrots, cauliflowers, lemons, and olives. 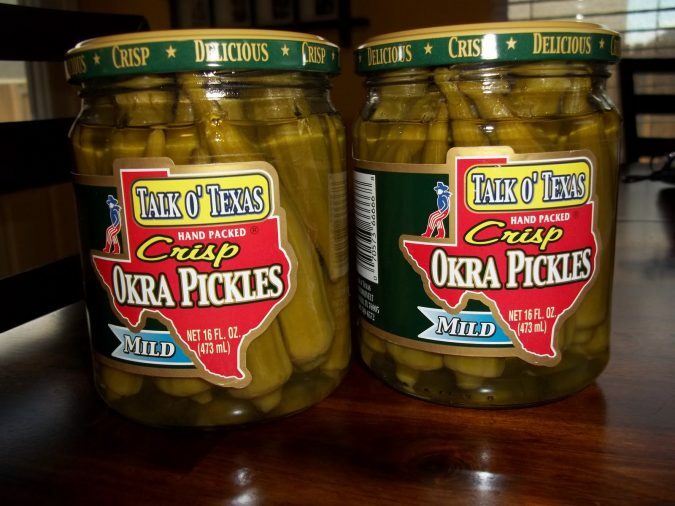 However, have you ever stumbled upon Talk O’ Texas Okra Pickles during one of your super market visits? The answer of many is more likely to be no! The product seems to drop food lovers’ and customers’ jaws at the moment of hearing of it. If the past description has not caught you surprised then, the company’s strong advice may strike you with awe as it’s said on their website on how to use their special pickled okras, “And just try one in a martini, called an ‘Okratini’, or try one in a Bloody Mary”. If you are not living in the United States at the moment, then, this product will definitely sound bizarre to you. Orange soda, apple soda or pineapple soda will fall familiar on your ears. 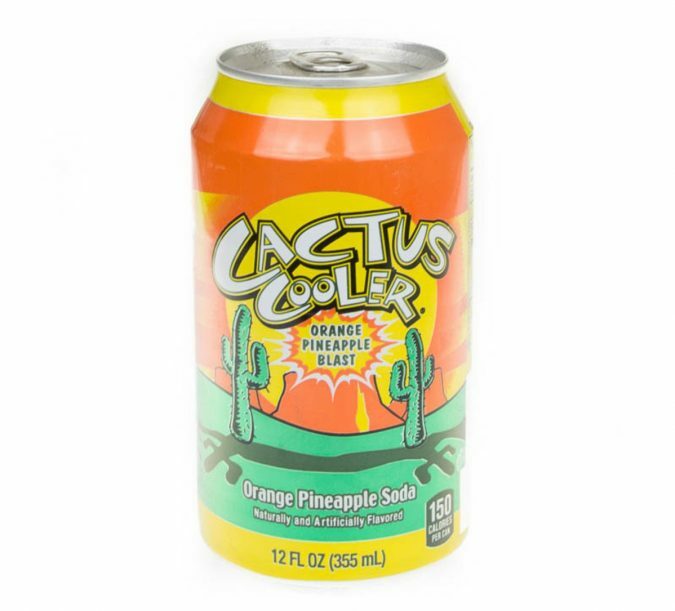 However, orange and pineapple mixed together, producing one soda with both flavors is kind of extraordinary to non-Southern-California residents. The product has been the perfect choice for dieters since the late sixties, the period when the brand was established. However, it is not recommended for patients who suffer from diabetes. The American franchise of most fast food chains is trying too hard to do their best to stay relevant in a world that is changing every second. 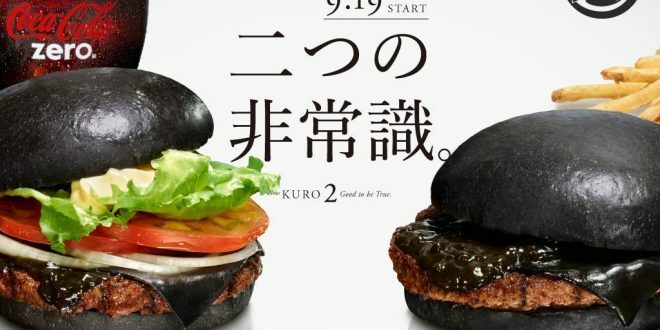 Not only are they promoting the pop culture to the world through such fast food chains, but also they are adding a spicy touch of local dishes. 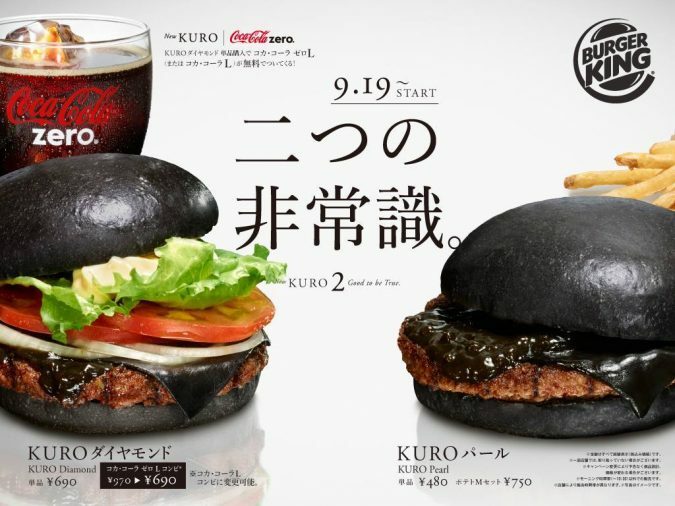 That is exactly what Burger King‘s chain has done in Japan; they coined the Kuro Peral burger, an all black burger! 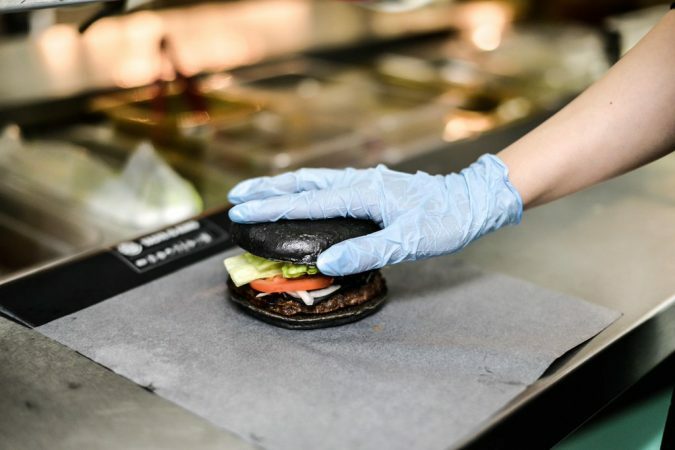 Interestingly, “it contains black cheese – made with bamboo charcoal – a black-pepper burger, onion, and garlic sauce made with squid ink and the jaw-dropping black bun” according to Mail Online. Of course, it is an American-Japanese outcome. Do you recall the brief analysis we carried out regarding the American pop culture tradition and how it invades the world? KFC is no different from its likes as Burger King. However, this product fell short of the Far Eastern culture of the Philippines. 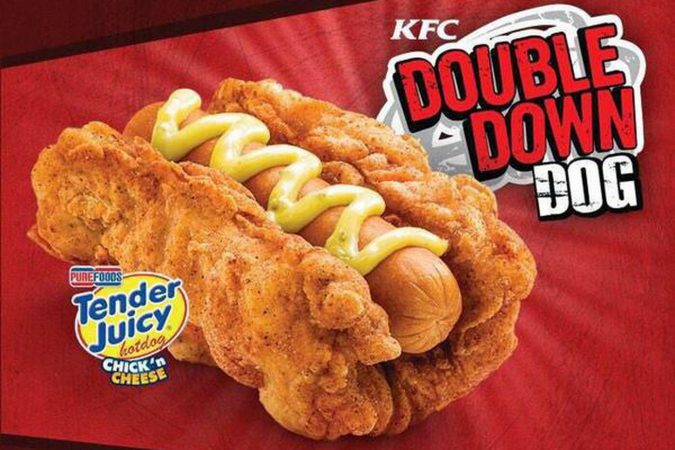 So, if you are a meat lover and a fast food junkie, you may find a hot dog wrapped in fried chicken a dream comes true. 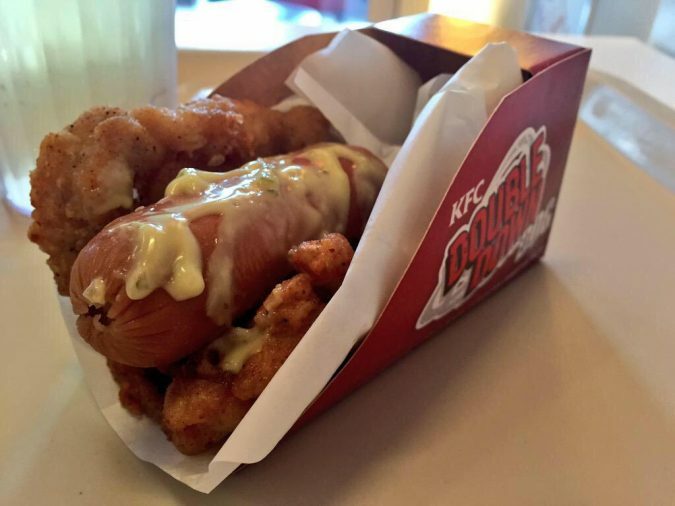 The idea of putting a meat between two pieces of chicken was not solely made in the Philippines two years ago; Korea had it as well when KFC Korea offered a Zinger Double Down where a bacon cheeseburger is put between two pieces of fried chicken. Buckle up bacon and cotton candy lover; bacon is not only served with omelet, and cotton candy does not only bring out sugary and fruit flavors. Believe it or not, but the two extremely contrastive flavors were blended. The product has actually been available by Lester’s Fixins. However, if you do not reside in the United States and cannot ship the product, you have the privilege of making something closer yourself at home. Purchase a cotton candy machine, if you are a cotton candy lover. Then, cook the bacon, chop into small pieces, then cover it with sugar. Then, when the zing and aroma of the bacon haunt the sugar, add the sugar solely into the cotton candy machine. 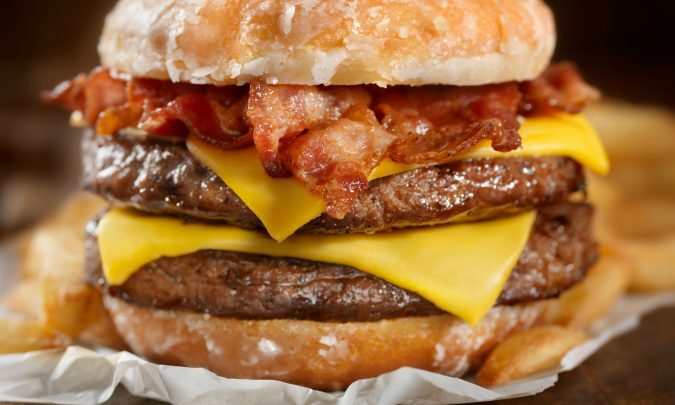 Dubbed as the Death Burger by Guido Fawkes, the 1,996-calorie doughnut burger would definitely super-size you. Two inch-thick burgers along with stripes of chargrill, finger lickin’ good bacon and melted cheese. 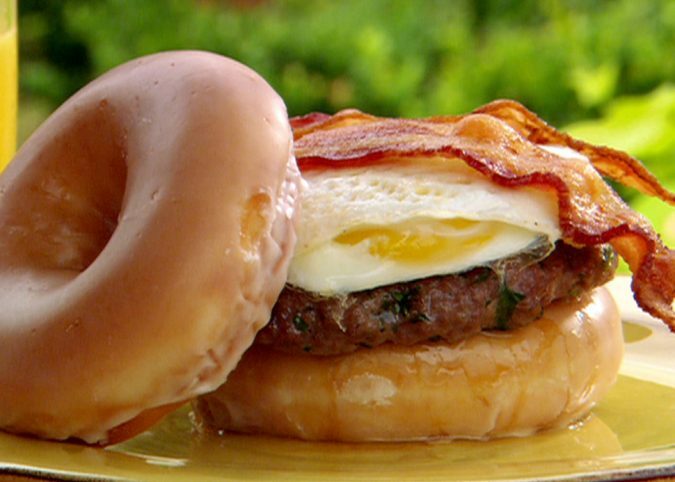 That fattening mountain heaped in the midst of two sugary doughnuts. Do not wear your favorite shirt the day you tend to devour these mouth-watering goodies; the sandwich would distill fats all over your hands. However, we fully acknowledge that you would not finish devouring it; and having the doughnut burger left overs is inevitable. Pickled eggs are originally an English snack despite the fact that the sound of it sends Asian vibes. Typically, they are hard boiled eggs salted in vinegar for months. 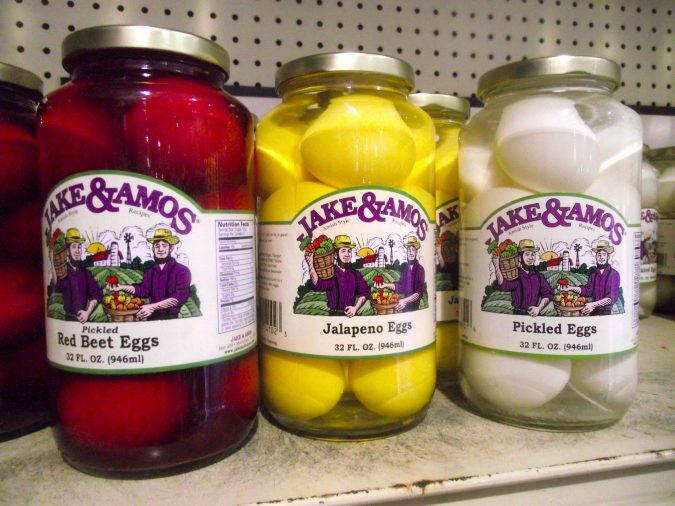 Pickled eggs have found its way to pubs, bars, and taverns. 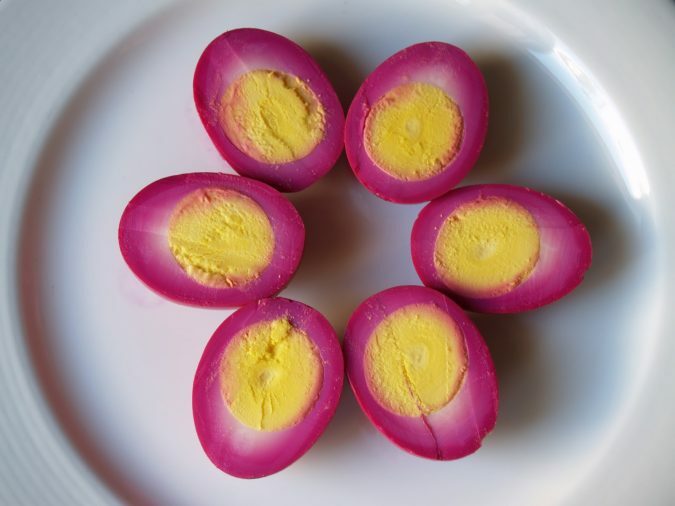 the habitual recipe for pickled eggs contains eggs, vinegar, salt, and sugar. The eggs are boiled hard, then peeled. They get to be boiled with the remaining ingredients. They are mainly side dishes that accompany fish or served with alcohol in bars. A mince pie is typically a British dessert. The word pie, on one hand, implicit sweetness. Mince, on the other hand, add a salty swizzle to the scene. They are not to be combined. However, because the purpose of the list is to strike you with owe, minced along with dried fruit and spices were mixed together to replenish the sugary-yet-with-sour-stuffing pie. The dessert is likely to be served during the Christmas season. 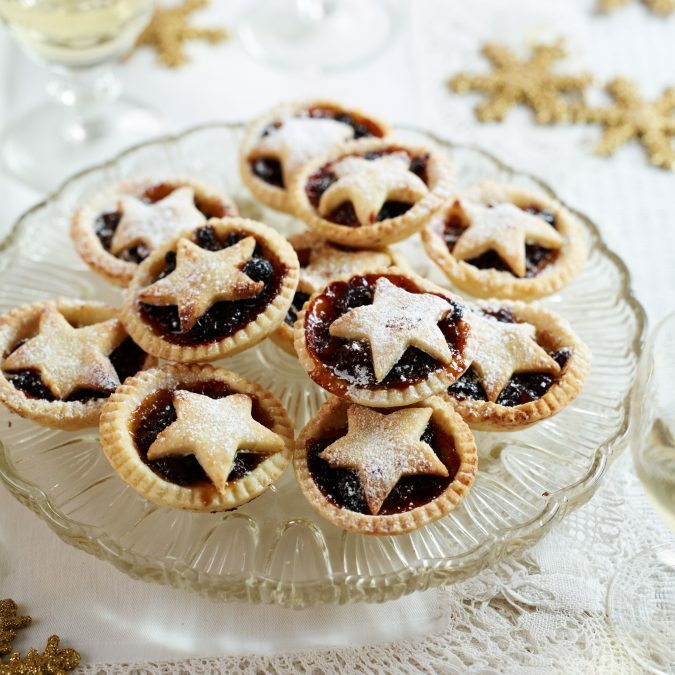 As bizarre as it sounds, mince pie is popular in the English speaking countries. Moreover, it dates back to the 13th century when the crusaders thought of the recipe on their way from the Middle East. 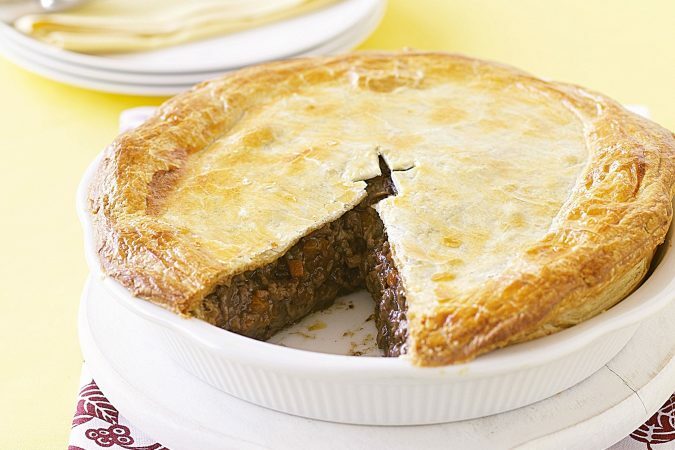 It has been dubbed as “mutton pie”, “shrid pie” and “Christmas pie”. Bubble gums have been known since ever as fruit-flavored. Not to mention the ubiquitous mint-flavored gum. 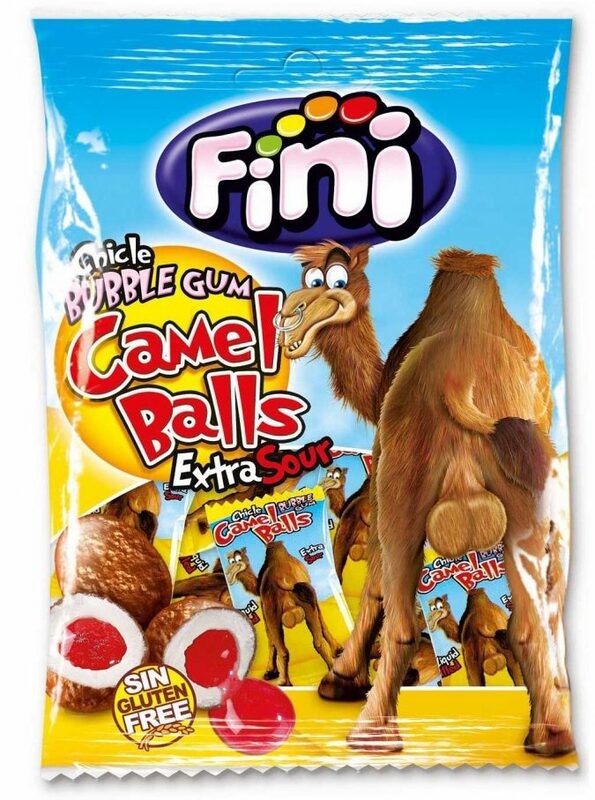 You can imagine different flavors from water melon to strawberry, from cinnamon to cola, but you can never imagine camel balls bubble gum, can you? The name of the product stroke people in awe, proposing questions as for how the children, the most consumers of bubble gum, catch on such product? However, you can never say that the name does not poke fun. 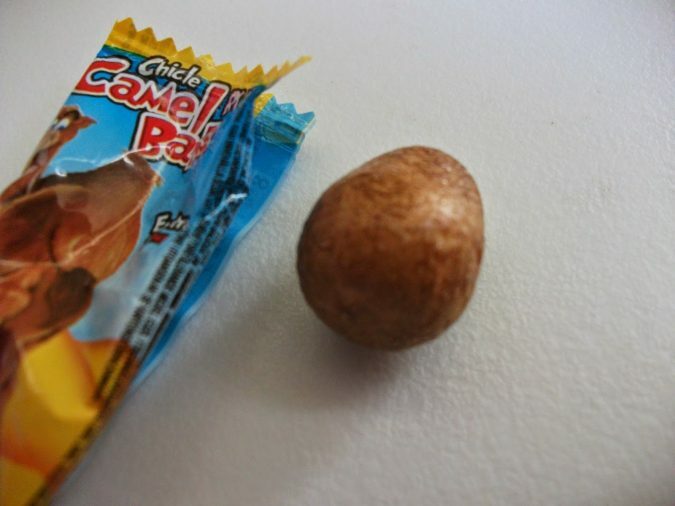 Camel Balls bubble gum is mainly sold in the UK. 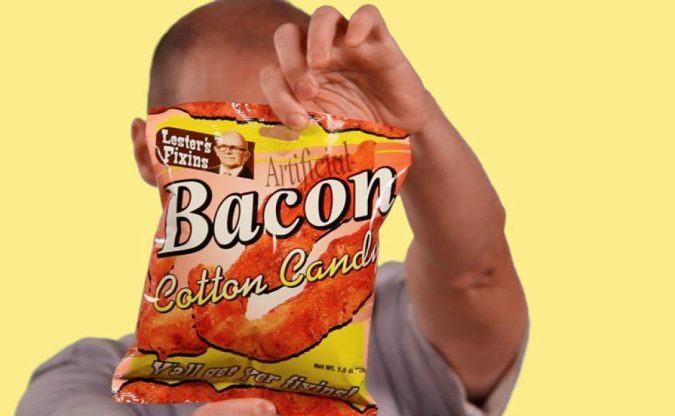 Chips flavors range from bacon to sausages, from barbecue sauce to onion and sour creme. However, the idea of having squirrel flavor is still over our heads and is not quite comprehensible. Did they just add the zing of those fluffy animals to chips? Chances are our eye balls would pop out while seeing a fluffy stuffed squirrel, similar to the stuffed unicorn in a so-called can of unicorn meat. 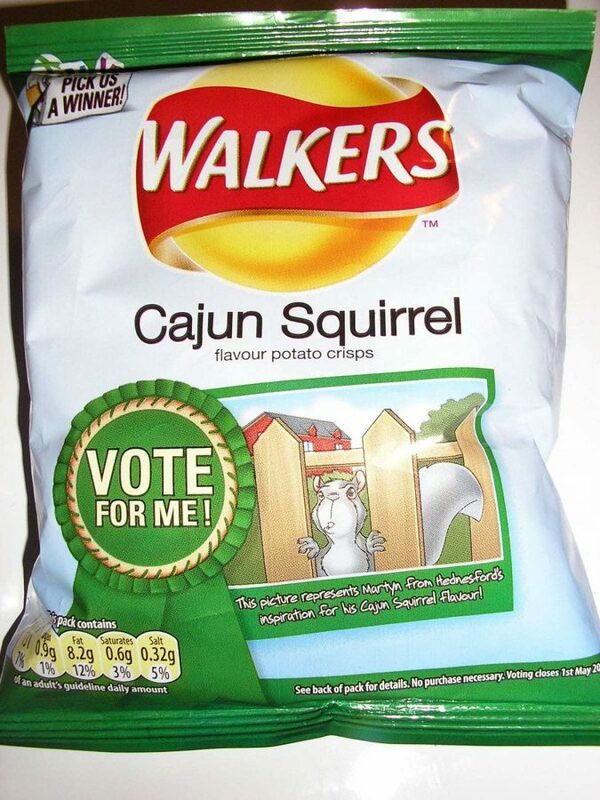 However, Walkers categorized the bizarre flavor under the label: vote for me. So, there are equal potentials that the squirrel would have made it to the markets. However we never heard of it, it was an idea put forward. Finally, as we said, every culture has its own core and different traditions. Those are the basis of its own identity, so it is always essential to respect other cultures, even if we do not catch on their notions and motives. When it comes to applying those values to food products, always keep in mind to give other dishes a shot, or just respect them. So, tell us in the comment section, which food product took you by surprise?